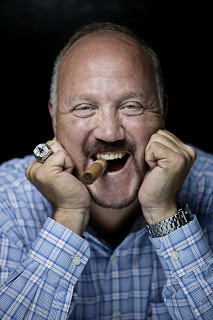 Bradley Birkenfeld, author of Lucifer’s Banker, discusses his amazing story – and what it reveals of the staggering corruption at the top levels of US and global society. Brad Birkenfeld worked for the Swiss mega-bank UBS…until he realized they were setting him up to take the fall for their crimes. Stealthily acquiring paper-trail evidence against some of the world’s biggest banksters, he flew to DC, testified before Congress, and became the biggest financial whistleblower in banking history — helping the US treasury recover over $15 billion from super-rich tax cheats, and exposing the banksters’ connections to money-laundering and terrorism. But the Deep State wasn’t happy. Brad’s whistleblowing was rewarded with two and a half years in federal prison. (Whistleblowers’ rights groups were aghast.) Meanwhile, his lawyers were working overtime…so after his release, Brad Birkenfeld was awarded the world record sum of $104 million dollars as a whistleblower reward. Meanwhile, virtually none of the high-flying criminals he exposed were ever charged, much less convicted. Tough, bright, savvy, fun-loving, a wee bit cynical, but with enough of a moral compass to know where to finally draw the line, Brad Birkenfeld is a fascinating character in a larger-than-life drama. Lucifer’s Banker is a great read, and an education in the systematic corruption of the banking industry and super-rich it serves. Today’s show is an encore edition from last Monday. This show was broadcast on April 3, 2017. This entry was posted on Thursday, March 23rd, 2017 at 7:27 pm	and is filed under Disaster Capitalism, Econo, Education, False Flag/Fake Terror, Freedom, Justice, Kevin Barrett, Law, News, People, Protest. You can follow any responses to this entry through the RSS 2.0 feed.